Palm Springs Fl Movers – Moving is never routine and each move has its own special needs. 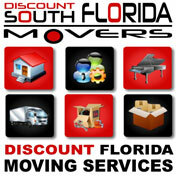 At Discount South Florida Movers, we tailor each move around the specific needs of the customer. Drawing on over 15 years of experience, we can guide you through the process without the stress and anxiety going it alone could bring on. Our team of professionals will put you first and give you the peace of mind in knowing you are well taken care of. Whatever your residential or commercial moving needs are we can help you. Please let us know of any special requests you might have and we will work with you to accommodate them. Our experts can securely prep and move large delicate items such as pianos or artwork, store your belongings in storage, or even arrange for long distance shipping if you are moving across the country. Call us today for your free quote and let us show you what we can do for you. Palm Springs is a village in the interior of Palm Beach County. By village standards it is quite large, sitting on 2.5 square miles of land and boasting a population of 19,000. The village was created in 1957 by Ralph Blank Jr., a state of Florida Congressman. The charter was unanimously approved and named after the resort town in California of the same name. Plans are underway to annex the eastern and western unincorporated territory which could increase their population by 50%. Lately the village has been offering matching grants to help redevelop the existing city as well. The village also has a centralized commerce district with many business and retail stores. Discount South Florida and Palm Springs movers provide low rates on residential, commercial, piano and long distance moving.